“Félicien-César David was a French composer whose good voice enabled him to study as a choirboy at the Church of Saint-Sauveur in Aix-en-Provence, which he left at the age of 15 with a sound knowledge of music, and a scholarship which enabled him to study literature at a Jesuit college. However, after three years, he abandoned these studies to pursue a musical career. He first obtained a position in the orchestra of the theatre at Aix. In 1829, he became maître de chapelle at Saint-Sauveur, but realised that to complete his musical education he needed to study at Paris. An allowance of 50 francs per month from a rich uncle made this possible. 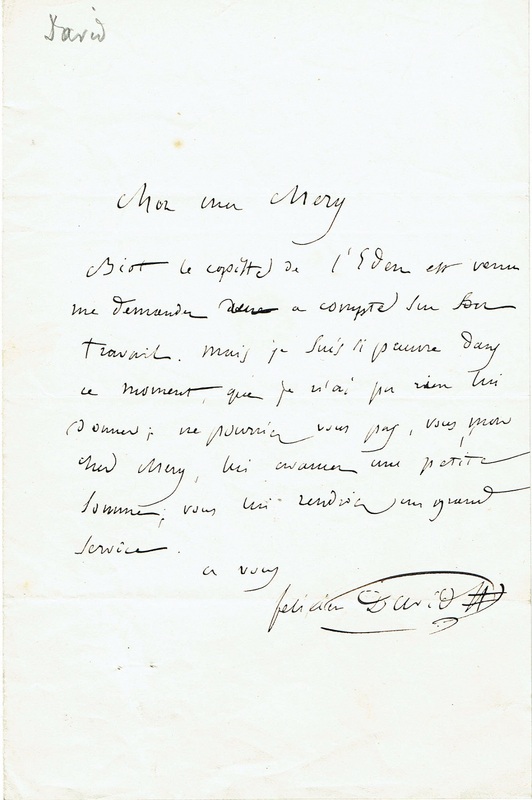 In Paris in 1830 he convinced Luigi Cherubini, the director of the Conservatoire, to enrol him as a pupil: despite his reservations, Cherubini recognised the talent shown by David's choral setting of ‘Beatus vir’. Despite the sudden withdrawal of his uncle's subsidy, David's studies, with Fétis and others, continued successfully. With LE DÉSERT he was acknowledged by the public and the critics as a significant force. The Revue et gazette musicale announced, the morning after its premiere, 'A great composer has been born amongst us'. To relieve his substantial debts, the composer however sold the rights to his masterpiece for a relatively small sum. 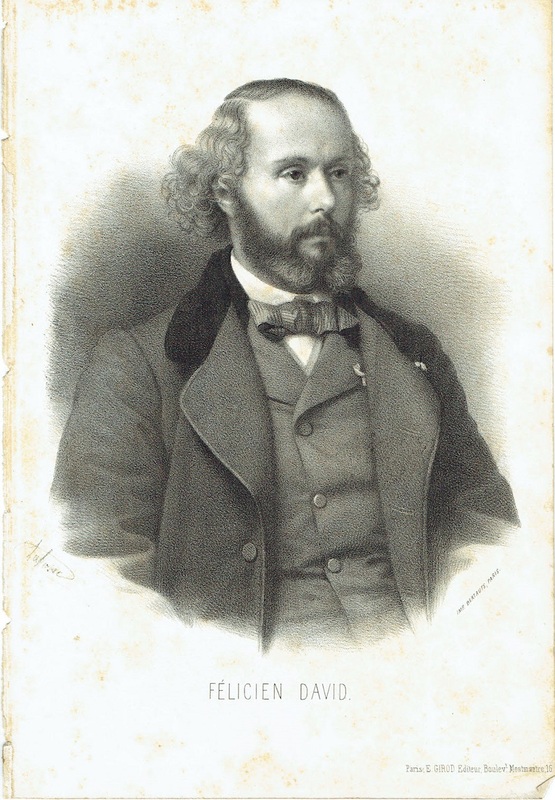 David wrote a number of operas, of which the most notable are CHRISTOPHE COLOMB (1847), LA PERLE DU BRÉSIL (1851), HERCULANUM (1859, and LALLA-ROUKH (1862). Amongst his oratorios are MOÏSE AU SINAÏ ('Moses on Sinai') (1846), and EDEN (1848).